A few years ago, my father had a stroke. It took a chunk of his speech, a fair amount of his mobility, and his good hand. He soon found himself in an assisted living facility. When my father ended up in the facilities, I thought the ease-of-use for music, simple questions, and the like would be something he could use. All I had to do was plug it in, sync to WiFi, and have him run through the voice recognition. He began stealing my music stream, and I’d see different questions he’d posed through the app. 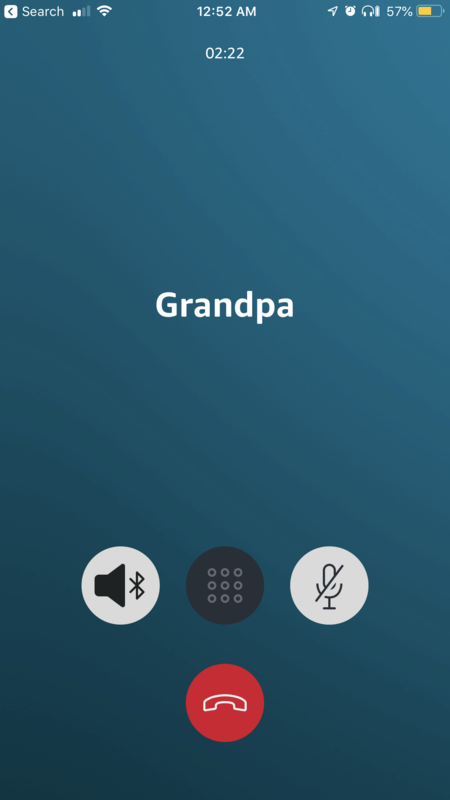 While his touchscreen phone was cumbersome to use with his stolen hand mobility, his voice still worked, and Alexa continued to give him some sense of empowerment. The surprise hit of Alexa in this environment wasn’t even this, however. The unexpected utility has been Drop-In. The life of a person in his condition is rife with illness, from chest colds, pneumonia, and any other bug that inevitably finds its way into a community living facility. He’s been hit hard with illness a number of times, in-bed, on oxygen, and quarantined once (thanks, Influenza-A). 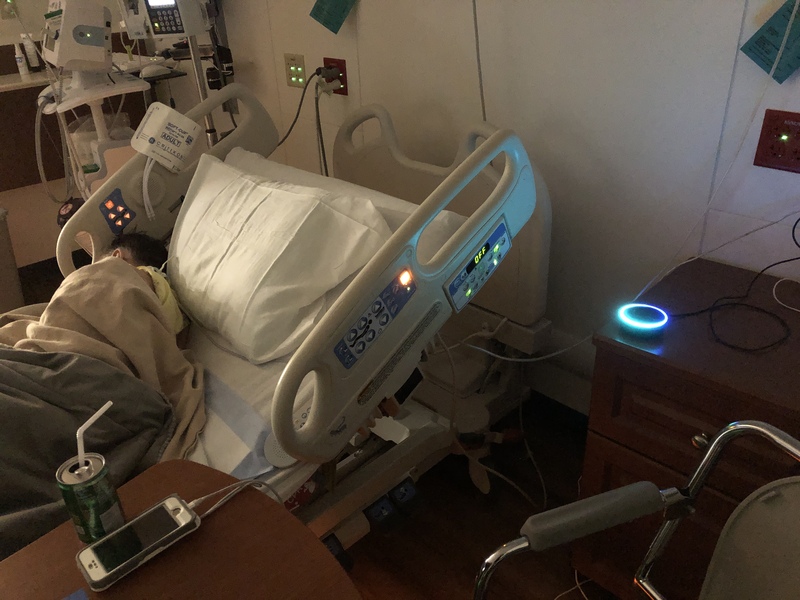 Each time, his Alexa but a few feet from his bed, I could check in on him anytime I want. I can listen to him breathing, being able to offer this up to family hundreds of miles away on a conference call; there’s nothing quite like it. The picture I’ve attached to this post are from the hospital; a bout of infection has him hooked to wires and tubes again. I can check in on him faster than a phone call, hear him breathing, call out to him even, and he can respond, no button presses or swipes needed. I can’t imagine the engineers from Amazon had this in mind when these features were created, but they’ve been incredibly helpful in this last tough year. Thanks, Amazon.